These days, Technical Test Center has become richer for the three test pilots, who have successfully completed test pilot school and passed stringent tests during training. At Friday, 27/08/2010. 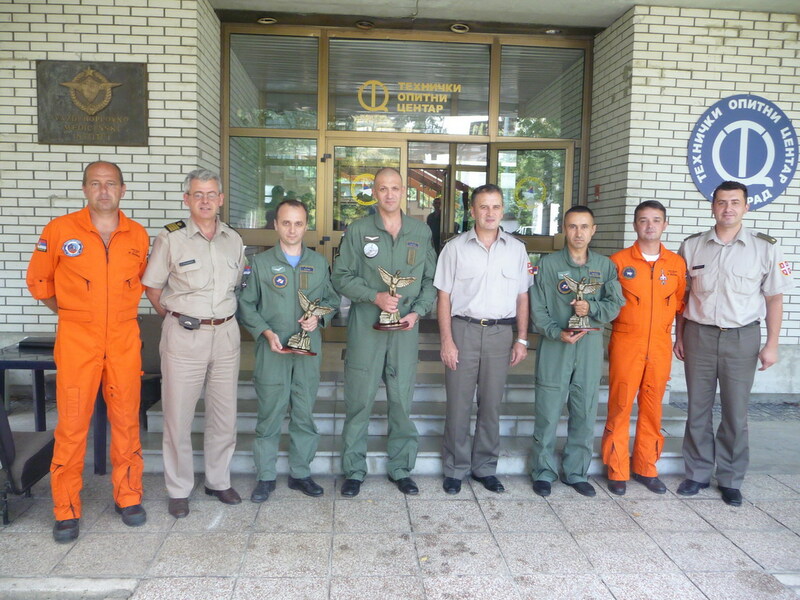 year, at the Technical Testing Center at the airport Batajnica Lt. Col. Miodrag Ristic, Sasa Ristic Lt. Col. and Major Dobrosavljevic Sasa are assigned to positions of test pilots and served on the statue of Icarus. Statue of Icarus is presented Brigadier General Mitar Kovac, Head of Planning and Development (J-5) of the General Staff of the Army of Serbia.